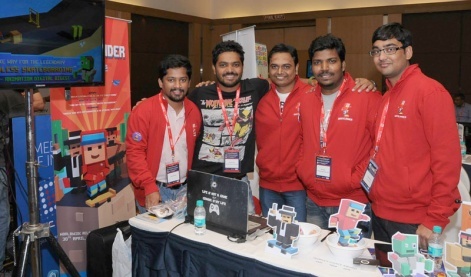 It feels like only yesterday that we were in India, holding our Pocket Gamer Connects Bangalore 2015 conference and learning about the impressive growth within the Indian market. And things have only gotten better since then, with games like Lucid Labs' Stay, Mum proving how much talent there is in the Indian mobile gaming scene, and the market continuing to grow at a mind-boggling pace. So it's no surprise that we're heading back for Pocket Gamer Connects Bangalore 2016 on April 21-22. “India’s smartphone growth and 4G launch has created an explosive growth for the mobile games," said Amit Khanduja, CEO of Reliance Entertainment – Digital. "PG Connects provides mobile developers a great opportunity to network with the best in the world, get time-proof learning, and accelerate their success by innovating for Indian and global markets." The main draw for the development scene is our world-renowned Big Indie Pitch, which gives developers a chance to get their game in front of a panel of gaming press and experts in a speed-dating format event for immediate feedback on their game. Previous entrants include Yellow Monkey Studio's with its eventual runner-up Socioball, and the winners of last year, Xigma Games, with its game Super Nano Jumpers. Winners of the BIP get their hands on some amazing prizes too, including advertising and coverage across Steel Media to help push their game to a wider audience. And with the boost in the Indian development scene, we can't wait to see what the competition brings this year. We'll also be hosting our I Heart Indie Showcase, where the local talent will be able to show off their games to attendees and make contacts with potentially influential members of the industry. There'll be five conference tracks this time around: the ever-popular Monetise, Retain, Acquire, East Meets West, and Mobile Games University, as well as new-and-improved Make In India and Indie Academy. And, of course, we'll be throwing one of our world-famous Pocket Gamer Connects parties, where industry members can unwind and network with one another after an intense day of conference attending. "We’re hugely excited about returning to Bangalore in April after we were blown away last year by the quality of developers, the general talent in the industry and the sheer enthusiasm and hunger to drive the market forward," said Chris James, Managing Director of Steel Media. "With smartphone penetration accelerating at blistering speed, there really couldn’t be a better time to get up to speed with the Indian market and the opportunities it offers. Of course, our show is aiming to do just that." We still have a few slots left for speakers, so if you've got a topic you'd particularly like to talk about, let us know by filling in our submission form. And if you're already sold on the conference, you can snap up a Super Early Bird ticket right this minute for a huge discount. So grab your tickets, and we'll see you in Bangalore on April 21-22 to find out how the Indian mobile gaming scene has changed since we were last there. Jake's love of games was kindled by his PlayStation. Games like Metal Gear Solid and Streets of Rage ignited a passion that has lasted nearly 20 years. When he's not writing about games, he's fruitlessly trying to explain Dota 2 to anyone that will listen.